Royal Botanic Gardens Sydney, an oasis of 30 hectares in the heart of the city, was established in 1816 and is the oldest scientific institution in Australia. It is home to an outstanding collection of plants from Australia and overseas. Wrapped around Farm Cove at the edge of Sydney Harbour, the Royal Botanic Gardens occupy one of Sydney's most spectacular positions. This garden is a BGCI Patron Member. The Royal Botanic Gardens and Domain Trust is celebrated as one of the world’s significant botanic garden organisations, internationally respected for its work in science, conservation, horticulture and education across three sites – the Royal Botanic Garden Sydney, the Australian Botanic Garden Mount Annan, and the Blue Mountains Botanic Garden Mount Tomah. The Royal Botanic Gardens & Domain Trust (RBGDT) has a commitment to take its expertise ‘beyond the garden walls’ and serve the broader community through innovative outreach programs. Community Greening aims to encourage participants to be mindful of the Earth’s resources and reduce their food miles and carbon foot print by supplementing their food shopping with locally grown produce in an environmentally sustainable manner. To meet this objective the Community and Education Programs unit has forged strong links with communities who have established or are interested in establishing their own communal gardens. 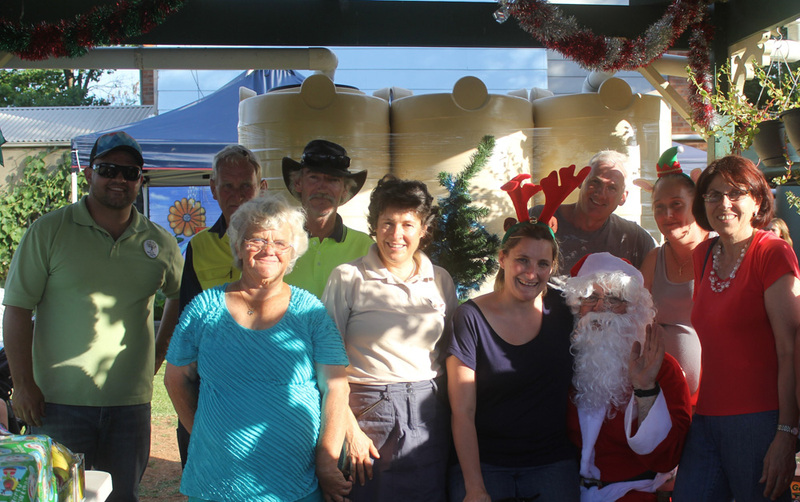 Bidwill Christmas Event and bushfire appeal and Masterclass winners Lisa and Angie. 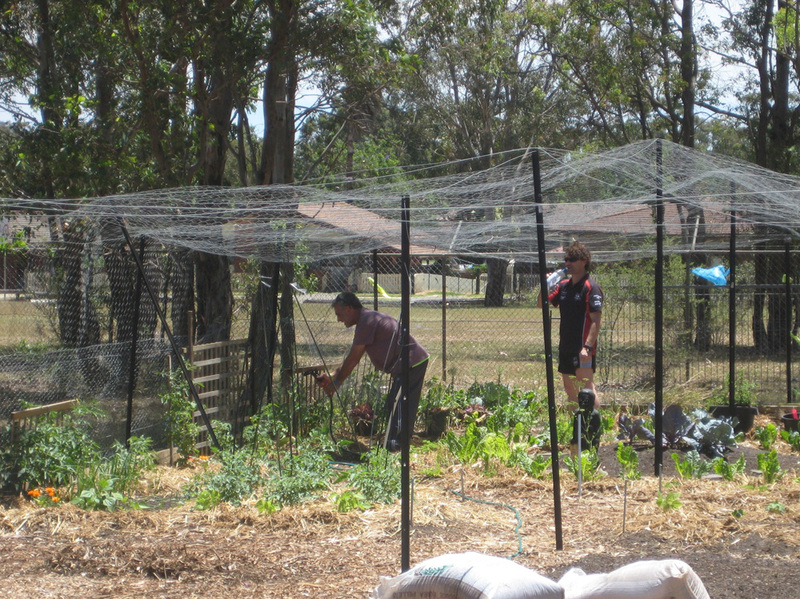 Community Greening promotes communal gardening in social housing communities, and on nearby land, to improve social cohesion, public health, education and employment opportunities and reduce crime in both urban and rural areas of New South Wales. 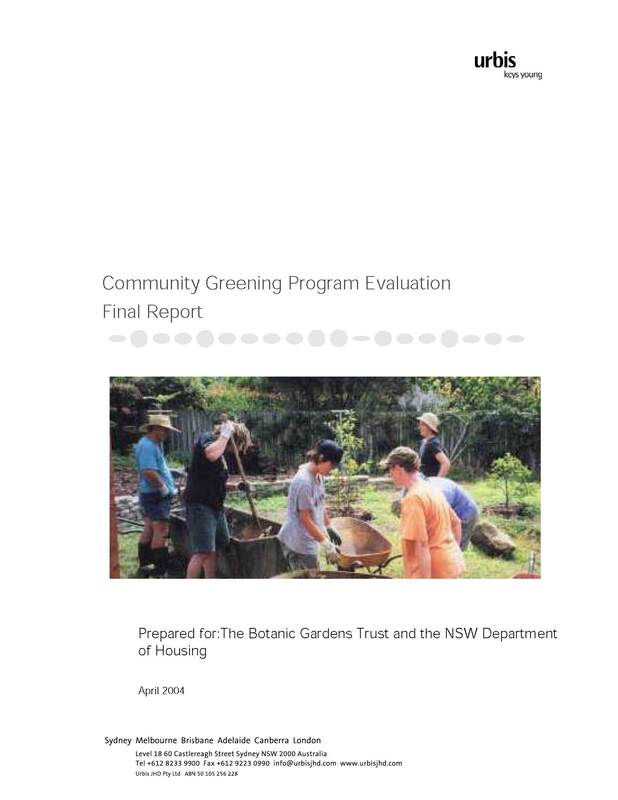 Working in partnership with Housing New South Wales (HNSW), local authorities and businesses, the project enables the RBGDT to reach new audiences and provide practical environmental education at no cost to participants. RBGDT provides advice, technical expertise, education, training, guidance and surplus plant and landscaping material. 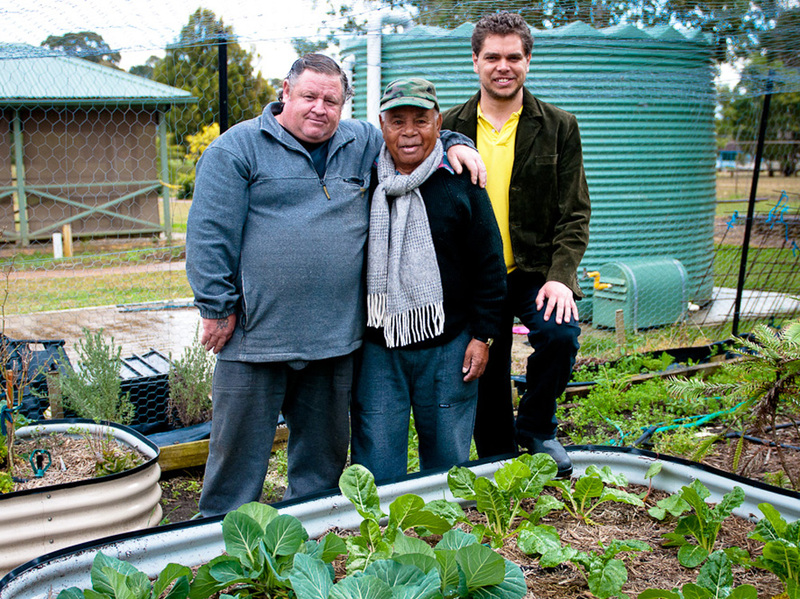 Community Greening works with individuals from marginalised or vulnerable community groups, including those in long-term unemployment, people in deprived areas, people with mental or physical disability and young people with low levels of education. This has included over 230 social housing resident groups and over 130 schools and youth programs. Residents make contact with their Client Services Officer (CSO) to register their interest in establishing a community garden or, if CSOs identify an interest within the community they can begin the process. As many volunteers interested in different aspects of the garden (i.e planning and design, setting up, organising materials, maintenance etc) as possible are identified. Areas of unused land, derelict land that might benefit from an improvement, etc. are considered. A morning/afternoon tea or BBQ with HNSW staff and education officers from the gardens is arranged to discuss ideas. Sometimes visits to other successful community gardens are arranged. - environmental issues -i.e. composting, worm farm for recycling garden refuse etc. Step 6 – How are you going to do it? Participants and staff consider how to obtain materials. This can include sponsorship from local businesses or council. The local media are involved, to raise awareness and support and recognise the work of those involved. To prevent a loss of interest in participants, individuals who will be responsible for the ongoing management of the site nominated or a management plan is devised. In addition, community activities can be organised. The gardens have become self-sufficient requiring less and less support from the Community Greening Program. The project has provided an opportunity for participants to gain on the job training and skills in horticulture and landscaping. Several participants have gone on to obtain work in related horticulture fields or other work due to improved communications skills, confidence and agency support. The gardens have helped to improve the health of project participants. Communal gardens provide opportunities for a greater number of people to participate encouraging a sense of shared goals and increased social interaction while providing gardeners with allotments can increase their sense of ownership and encourages them to maintain their commitment to the garden. In cases where young people were made to feel included in the gardens, vandalism was reported to be less of a problem and opportunities arose for younger and older people to work together which has helped to reduce negative stereotypes. The program has demonstrated an impressive ability to generate a cross-sector and cross agency commitment at a local level and there has been considerable partnership development between the business sector and the public sector, both at a local and a higher, program level. The project has included tours of the three botanic gardens, where those involved ordinarily would not have had the confidence, ability, finances etc to visit. This has engaged the community with the gardens both offsite and onsite and broadened audiences. Due to the success, positive examples and promotion of the Community Greening Program other groups have developed projects and gardens of their own. It is hoped that the project will continue. 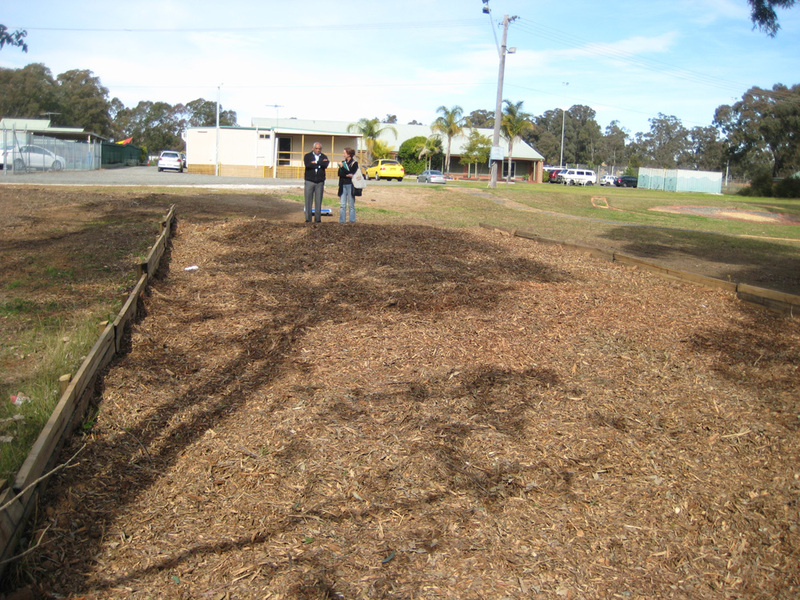 The Community Greening Project is externally funded by HNSW, the Department of Family and community Services. An off shoot of the program, Youth Community Greening, is funded the Eden Foundation. Every year millions of dollars and working hours are spent across Australia on revegetation projects to restore and rehabilitate bushland to its ‘natural’ state. A deeper understanding of plant evolutionary patterns and how these relate to the environment, could vastly increase the success rate of these projects, especially in the context of a changing climate and increased pressures on species to adapt quickly. 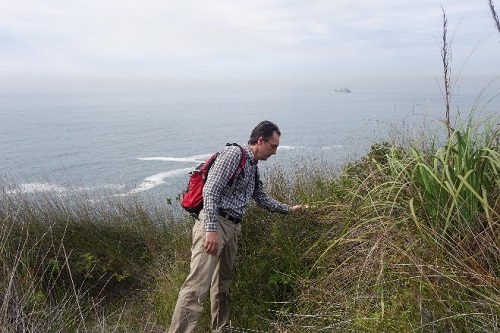 The Royal Botanic Garden Sydney’s ambitious new Restore & Renew project aims to equip land managers and restoration practitioners with genetic, environmental and ecological information that has previously been missing from their tool kits. The project has the potential to save time and money by increasing the chances that a newly planted area is genetically suitable and likely to flourish over time. Research indicates that genetic diversity is one indicator of how resilient a population is in the short term. Genetic diversity is fundamental to a species or ecosystem’s ability to adapt to changing conditions in the long term. Restore & Renew will capture genetic profiles using leaf collections from 30-50 populations of over 200 plant species commonly used in bush regeneration. The genetic profiles (obtained via high throughput genomic analyses), distribution and environmental requirements of each species are analysed, collated and mapped along with current and future climate models to inform recommendations for ideal plantings and seed sourcing. This information will remove much of the generalisation and guess work from revegetation work, helping to create new populations that are self-sustaining and resilient. The first stages of Restore & Renew have begun, a new website is under construction to act as the portal for scientists and the public to share information and see genetic sampling results overlaid onto a detailed map of NSW. The Evolutionary ecology team has finalised the first 15 species, and have started sampling many more. We expect that the official website will be up and running by mid-2017. 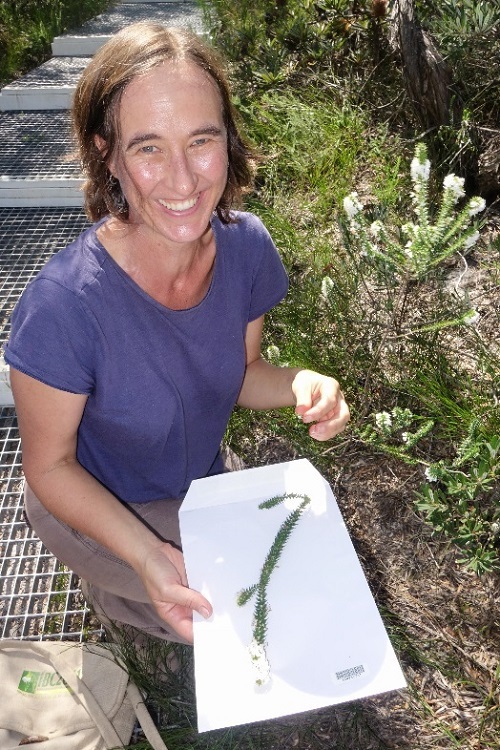 Collecting and analysing samples to produce a detailed picture of plant evolution and adaption in NSW will be a first for Australia and a great outcome for everyone working in the restoration field. Restore & Renew will create a science-based tool replicable around the world in support of the rehabilitation of natural areas and significantly boosting the chances of survival long term. For more information about this project click here.